The request made by Manhasset Unit 304 of the American Legion Auxiliary (ALA) to “Make the Holidays Brighter for Our Veterans” was once again answered overwhelmingly on December 1st by our youth, our community, and our friends. Thanks to the Manhasset Press for helping to spread the word. 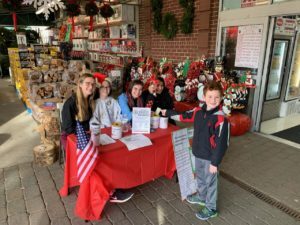 The sunshine that day only added to the warmth in the hearts of those who participated in the fundraising, shopping, and wra pping of gifts for the veterans at the Northport VA Medical Center. 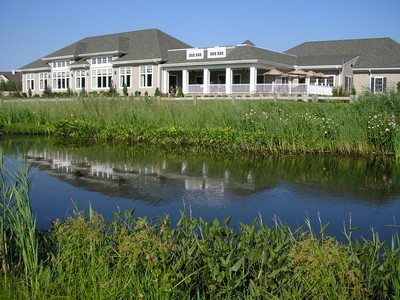 The success of this effort was the result of much planning, much cooperation, and much generosity of time and donations in many forms and by many individuals and businesses. Boy Scout, Matthew Moschitta, again served as liaison to Raindew where the managers enthusiastically supported the effort by permitting the Scouts to set up a table and encourage Raindew’s patrons to assist our veterans. The Boy Scou ts scheduled volunteers for the table throughout the day and received very generous donations from shoppers. Raindew has always been an energetic supporter of veteran causes presented to them by the ALA. 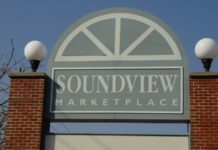 The kind cooperation and support shown by Raindew’s owners and the many discounts applied to purchases for our veterans are very much appreciated. Kaitlyn Clarke rallied her Girl S cout Troop and joined the boys at Raindew. Kaitlyn’s initiative with the management of Modell’s last year resulted in further savings this year as we were again given discount coupons that were good for a month of shopping. Five percent of the purchases above $500 are being returned to the ALA and will be used for additional items for veterans. Daniel Cataldo, also a Boy Scout, once again served as the lead in advertising the event throughout town. 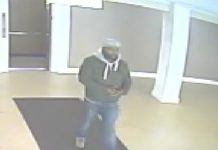 His announcements appeared in stores, his posters outside American Legion Post 304 explained the event, and his flyers listing the items needed for our veterans and active military were distributed to shoppers at Raindew. 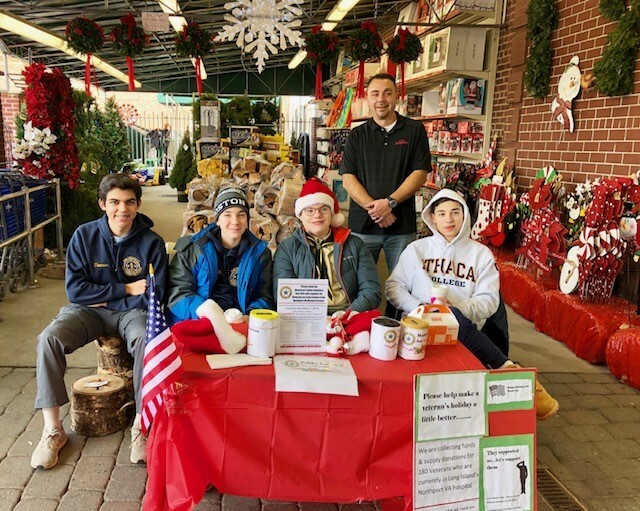 Lucia Osses and Rachel Jang, two Manhasset students whom the ALA sponsored for the 2018 Empire Girls State (EGS) program, brought donations worth several hundreds of dollars and wrapped gifts at the Post. Arielle Fishler from Roslyn High School, also an EGS citizen, worked with the Gender Equality Club and her Jewish Youth organization to collect donations and wrap many gifts for the Women’s Wellness Center at the Northport VA Medical Center. This was part of the ALA’s initiative to ensure that female veterans received gender-specific items as gifts. In keeping with this initiative, ALA member Susan Neville spearheaded a group that created 50 “grab and go” bags containing makeup, toiletries and chocolates that can be given to our female veterans when they come for an appointment. The many beautifully wrapped packages and “grab and go” bags were warmly received at the Wellness Center. While collections were being made at Raindew, donors also stopped by the American Legion Post with items and monetary gifts. Care to Knit donated 92 beautifully handmade blankets. 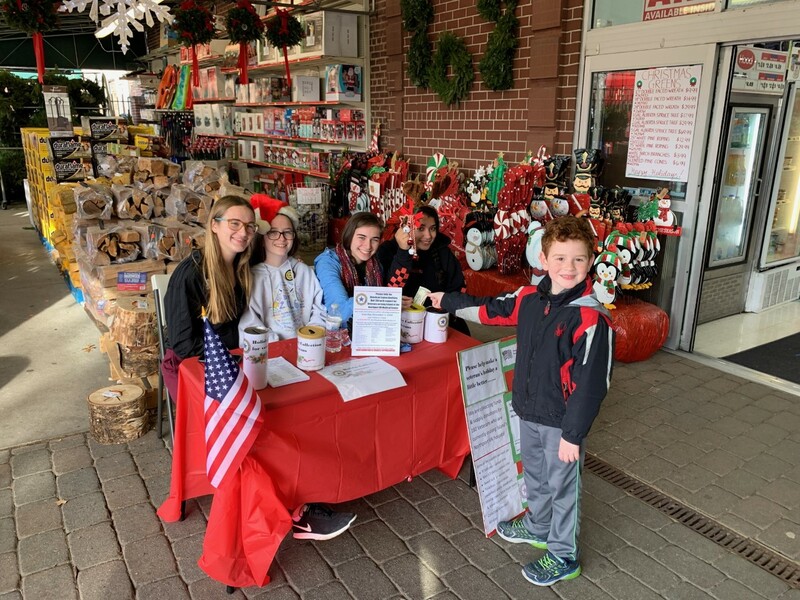 The Al & Peggy DeMatteis Foundation and the Ace in the Hole Foundation each donated $500, which enabled the purchase of additional items for the gift bags and future purchases for our Troops serving in Iraq, Afghanistan and South Korea. Members of the Manhasset community dropped off hundreds of items and made monetary donations. We are indebted to the members, leaders, and parents of Girl Scout Troops 502, 507, 515, 525, 537, 545, 547, 556, 567, Boy Scout Troop 71 with more than $750 in donations, Troop 97, Pack 3, members of CASA, the families Koutsourakis, Harvey, Keating, Eredics, Moschitta, Cuomo, Clarke, Belfi, D’Angelo, Walter, Nishimva, Weylon, Harrington, Kinloch, Byrne, Mineroff, Chow, Guariglia, Cain, Rogers and Zhang. It was amazing how many community members quietly came in and generously donated $50, $100 and more. 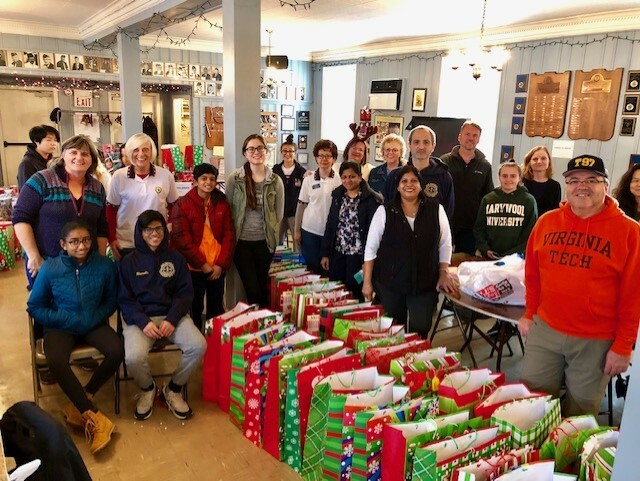 Thank you also to the members of the American Legion Auxiliary, the Junior American Legion Auxiliary, the Sons of the American Legion, and students from each of our Manhasset schools who made donations and gave so generously of their time. A great deal of sorting and wrapping was also taking place at the American Legion Post. 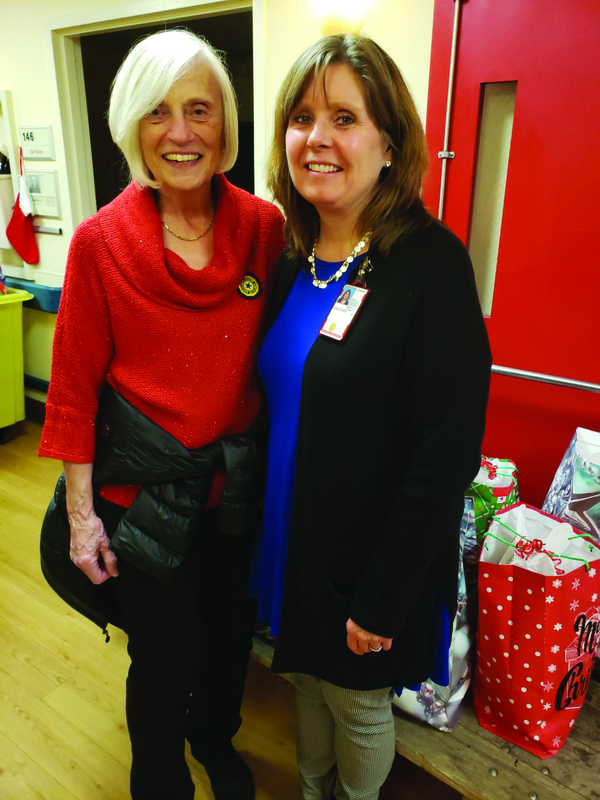 Led by Pat O’Brien and Elizabeth Parrella, the President and Vice President of Manhasset Unit 304, many elves ensured that the gifts received would be beautiful holiday surprises for the veterans. 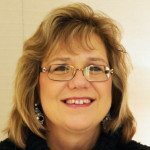 Poppy Queen, Kristin D’Angelo, continued her long-standing faithful support of our veterans by spending the entire day wrapping gift after gift in an effort that she performs seemingly tirelessly. Manhasset Girl Scouts and Boy Scouts donated homemade cards, others spent hours making and writing cards, and several days were spent wrapping the gifts. In between, Umberto’s of Manhasset provided relief by once again graciously supplying pizzas for the many volunteers. By the evening of December 6th, 217 individual, very large, gift bags had been filled for our veterans. In addition, there were numerous bags of CDs, DVRs, children’s clothing, toys, and miscellaneous items for Northport. On December 11th a caravan of SUVs and cars, each with very little space remaining for anything other than the driver, made its way to the Northport VA Medical Center driven by Pat and Donald O’Brien, Elizabeth Parrella, Linda Clarke, Ann Marie Moschitta, and Suzanne Bosse. The gifts filled every available space in the Volunteer Center. 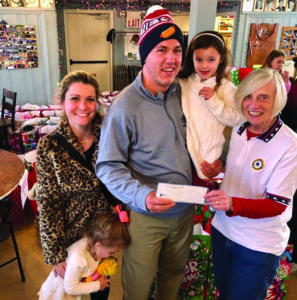 Pat O’Brien was honored by an invitation to join the Northport staff, its volunteers, and several Vietnam Veterans in distributing the gifts to the veterans on December 17th. Dr. Cathy Cruise, the Acting Director of the Northport VA Medical Center, happily joined the group on distribution day when she learned of the donation. It took more than three hours to distribute the many gifts Manhasset delivered. The smiles on the faces of the veterans who received them were priceless and filled with an overwhelming gratitude that they were remembered. The generosity and patriotism that exist within the Manhasset community and among our friends continue to know no bounds. The repeatedly wholehearted embrace of this effort serves as a wonderful lesson to our children of the importance of giving back to those who served our country. There are no words that would adequately express the gratitude that the American Legion Auxiliary has for those who did so much during this holiday season to express their appreciation for those who sacrificed for our freedoms. The community has an obvious pride for those who have served and are serving our nation. An equal amount of pride can be shared among and for ourselves as Manhasset and its friends continue to honor and support those who were willing to give all for the way of life we cherish.